The 2011 Norway attacks were two sequential terrorist attacks against the government, the civilian population and a Workers' Youth League (AUF)-run summer camp in Norway on 22 July 2011. Born 13 February 1979) is a Norwegian accused mass murderer terrorist and the confessed perpetrator of the 2011 attacks in Norway. 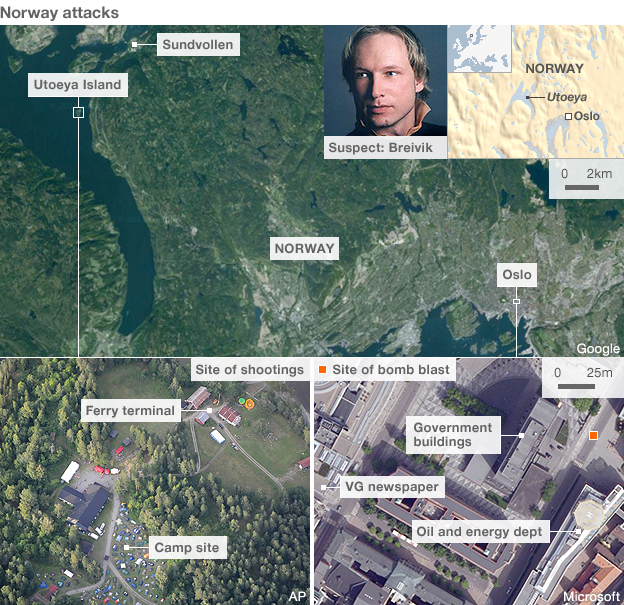 On 22 July 2011, Breivik bombed the government buildings in Oslo, which resulted in eight deaths. He then carried out a mass shooting at a camp of the Workers' Youth League (AUF) of the Labour Party on the island of Utøya where he killed 69 people, mostly teenagers. 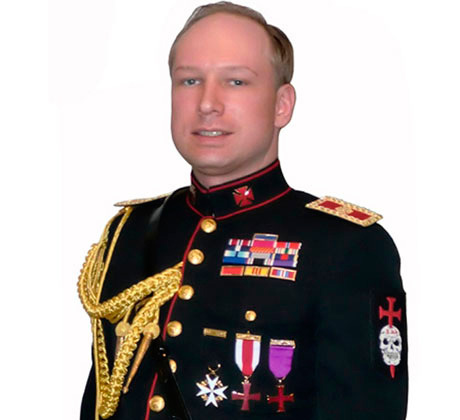 Breivik's far-right militant ideology is described in a compendium of texts, titled 2083 – A European Declaration of Independence and distributed electronically by Breivik on the day of the attacks.In it he lays out his worldview, which includes support for cultural conservatism, ultranationalism, right-wing populism, Islamophobia, Zionism, anti-feminism, and White nationalism. The Jerusalem Post describes him as pro-Israel and strongly opposed to Islam, and asserts that his manifesto includes "extreme screed of Islamophobia" and "far-right Zionism". 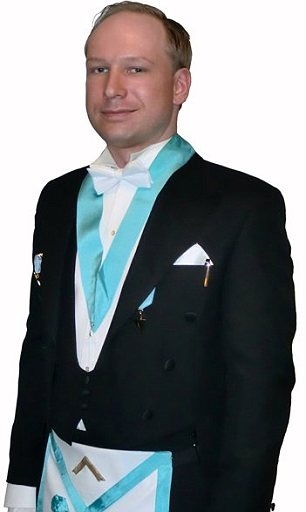 At the time of the attacks Breivik was a member of the Lodge of St. Olaf at the Three Columns in Oslo and had displayed photographs of himself in partial Masonic regalia on his Facebook profile Breivik's membership, Grand Master of the Norwegian Order of Freemasons. 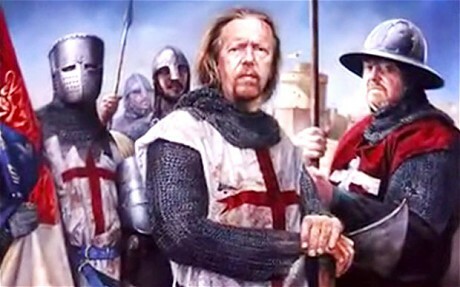 Norwegian mass killer Anders Behring Breivik has claimed allegiance to the Knights Templar, which he described as a secret society created to carry out a crusade against Islam in Europe. 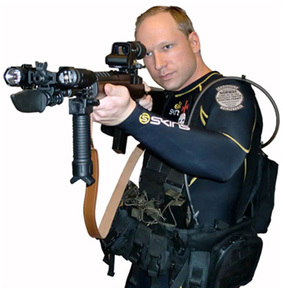 When I wrote my analysis last December on the “Axis of Islamophobia,” laying out a new international political network of right-wing ultra-Zionists, Christian evangelicals, Tea Party activists and racist British soccer hooligans, I did not foresee a terrorist like Anders Behring Breivik emerging from the movement’s ranks. 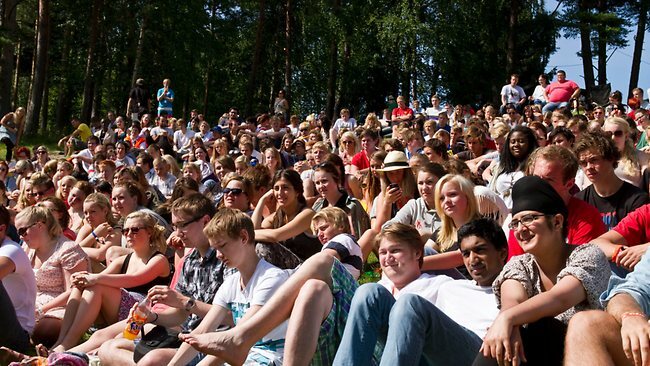 Jewish settler accuses Norwegian students, JAI guests, of being Nazis. From Oslo, Norway joins the Olivetree campaign by Joint Advocacy Inititive JAI (East Jerusalem YMCA and Palestina YWCA) in the Westbank March 2012, settlers from Israeli settlements uproot the planted trees at two of the 3 fields. At the last field, the settler Nadia Matar from "Women in Green" accuses the students of supporting todays Nazis and our grandparents of being responsible of Holocaust. They rest in peace in the Lord.